Download "[As Amended by Senate Committee of the Whole] SENATE BILL No. 351. 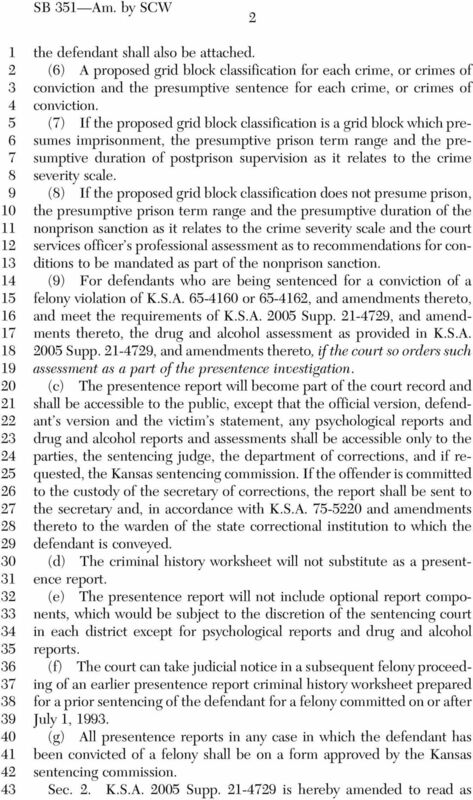 By Joint Committee on Corrections and Juvenile Justice Oversight 1-11"
6 SB Am. by SCW the offender. 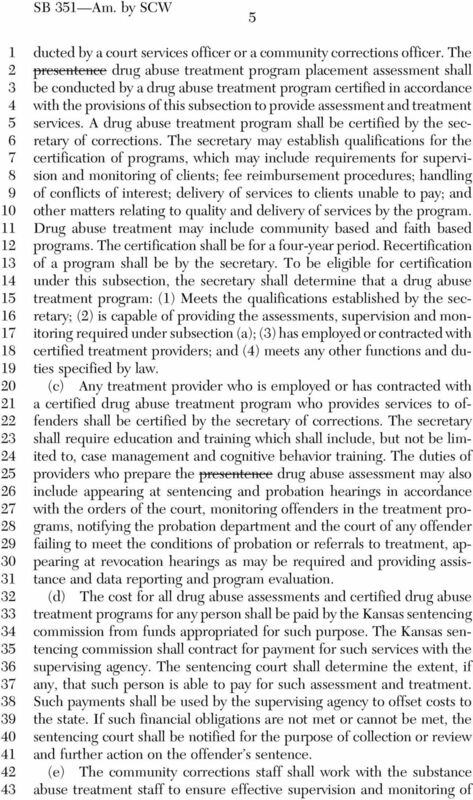 (f) The secretary of corrections is hereby authorized to adopt rules and regulations to carry out the provisions of this section. Sec.. K.S.A. 00 Supp. -, - and -, are hereby repealed. Sec.. This act shall take effect and be in force from and after its publication in the statute book. 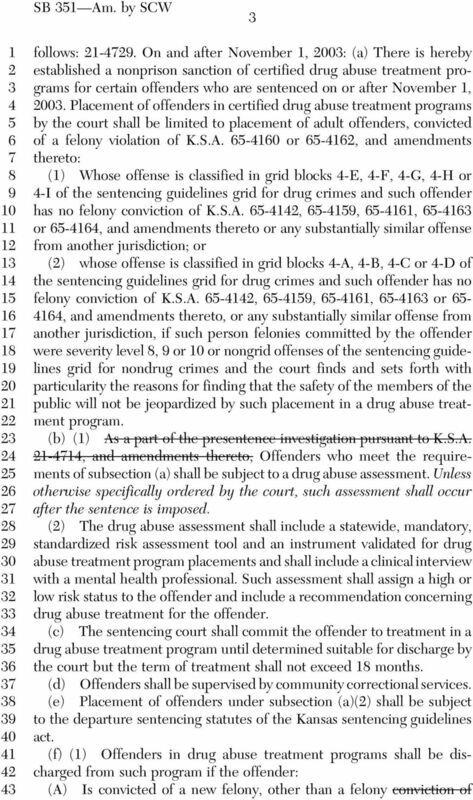 HOUSE BILL No. 2172. 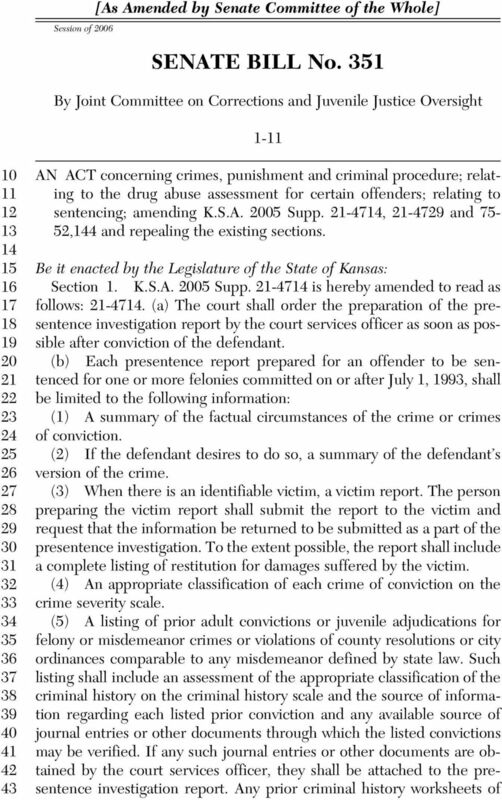 AN ACT concerning nurse aide trainees; criminal background checks. JAN 2 2 2016. 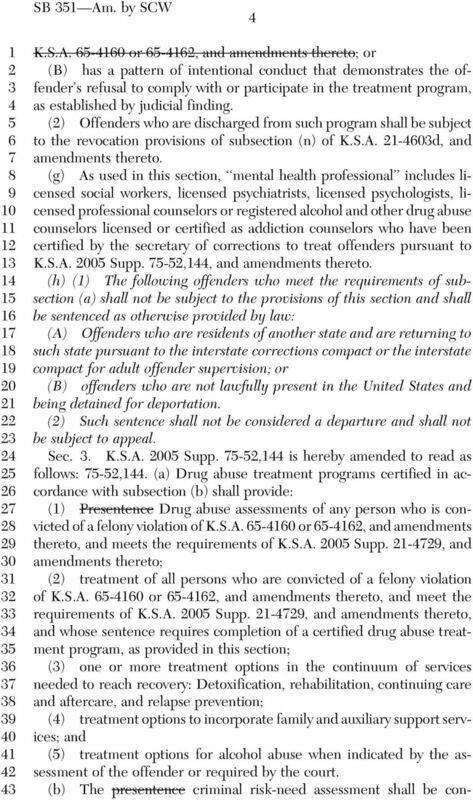 Hawaii Revised Statutes regulates numerous professions and. occupations, including marriage and family therapists.